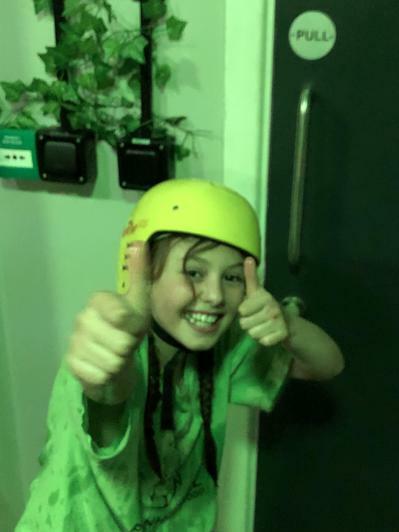 What a fantastic first day at Robinwood. 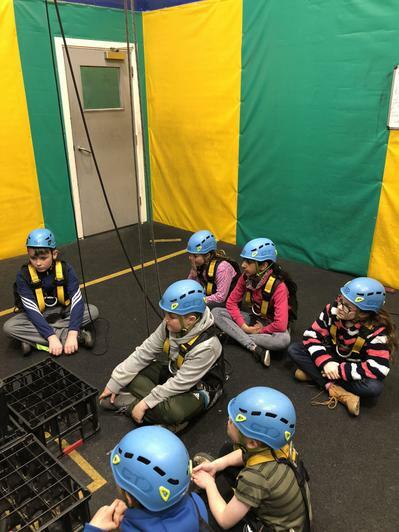 Valley group have grown together as a team so much already! 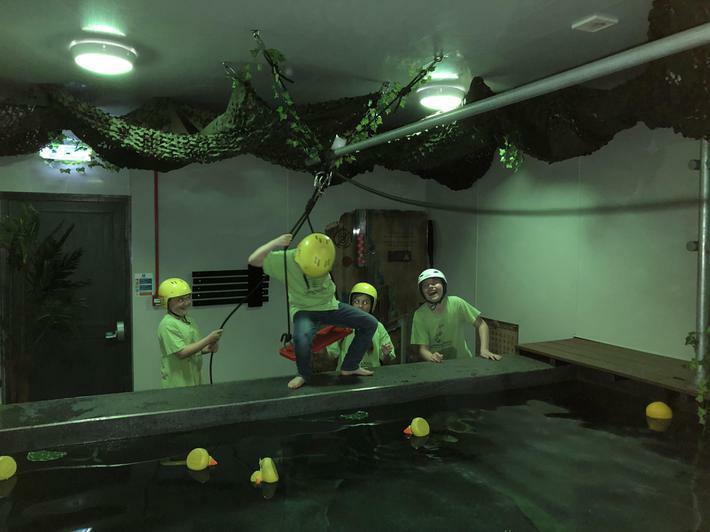 Despite a few people worrying about being bit by a piranha, I am pleased to announce that we managed to complete the challenge unscathed! 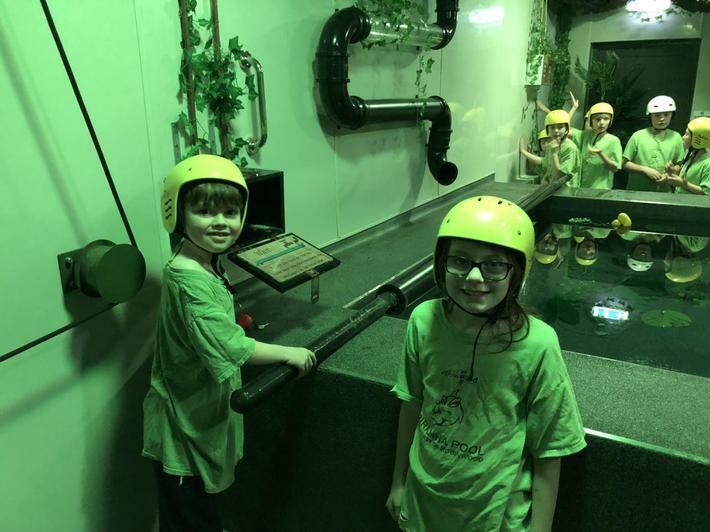 All children were accounted for! 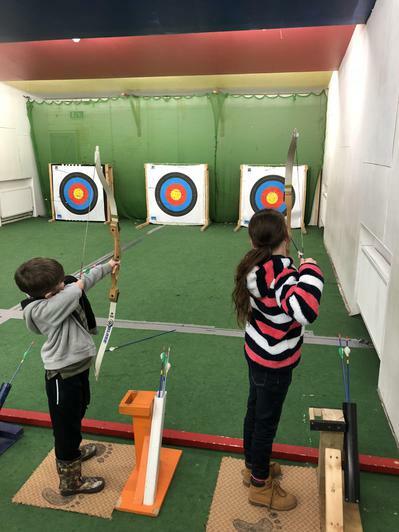 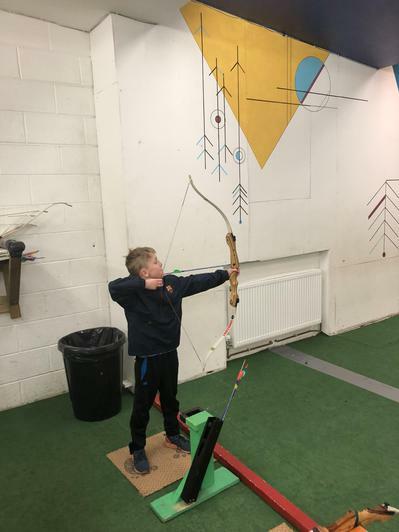 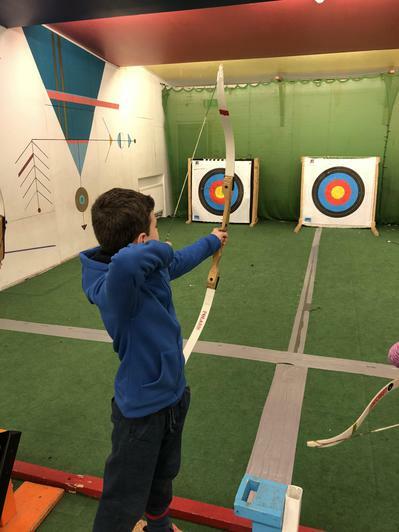 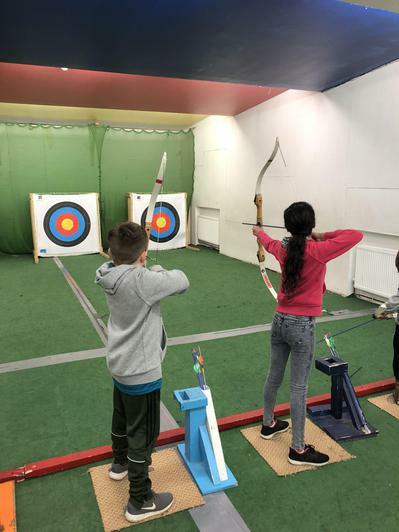 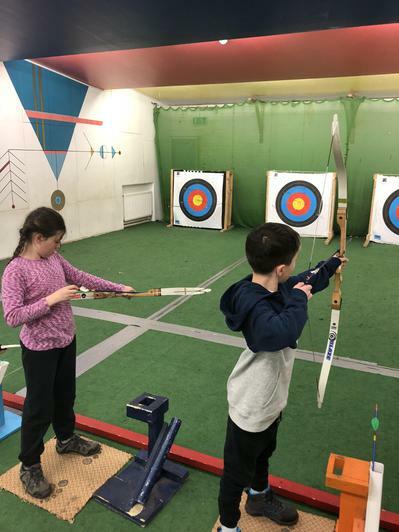 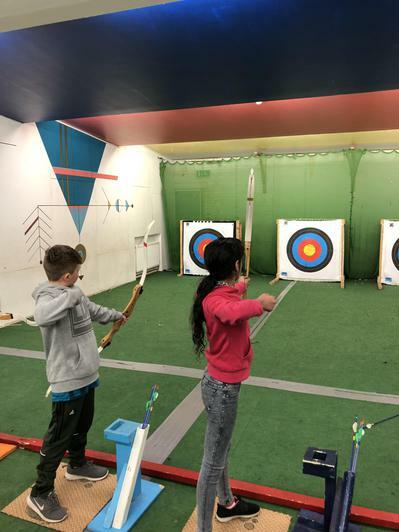 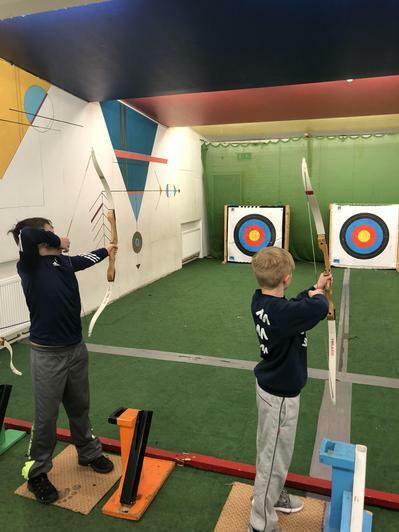 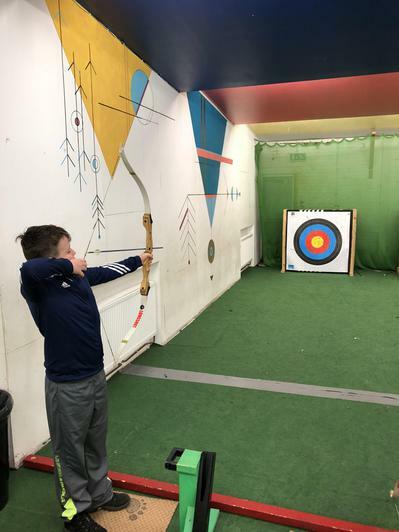 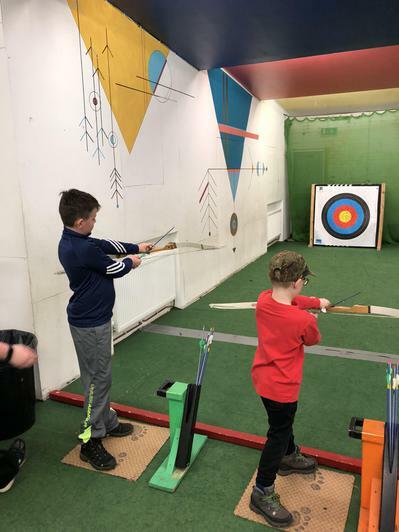 Archery saw us showing off our best Robin Hood impressions - turns out Mr Haywood does have a talent after all; however, he was later disqualified from all competitions for being too old! 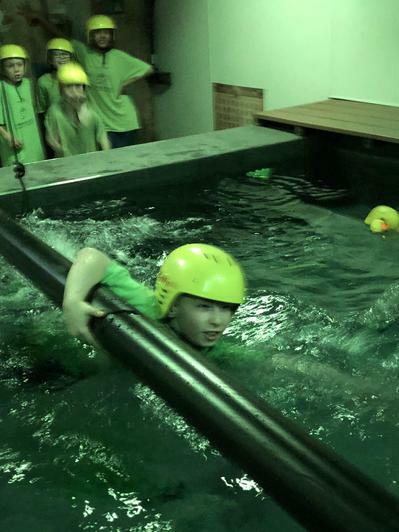 This certainly didn’t bother Aidan who took the gold medal afterwards. 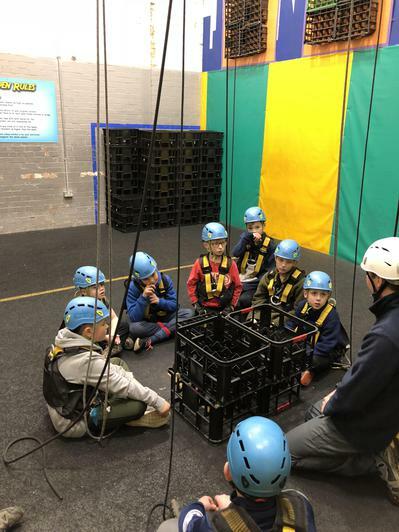 Crate challenge allowed our children to show their team work skills by working in groups to construct the biggest tower possible. 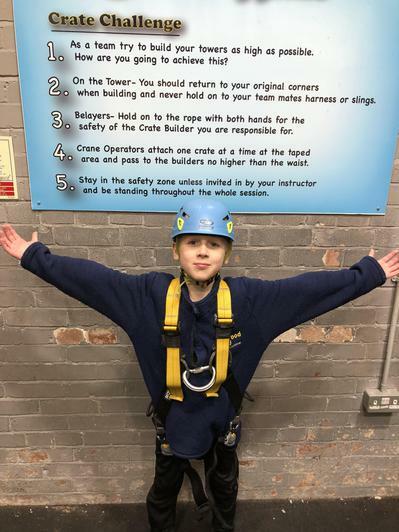 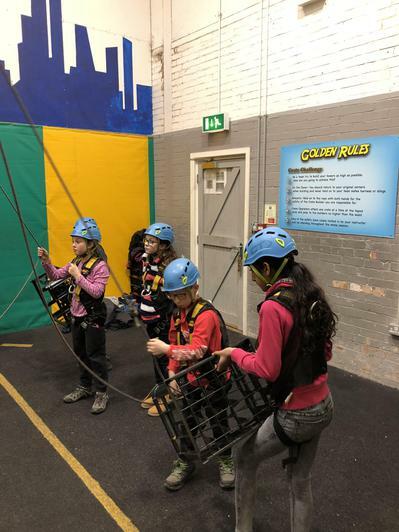 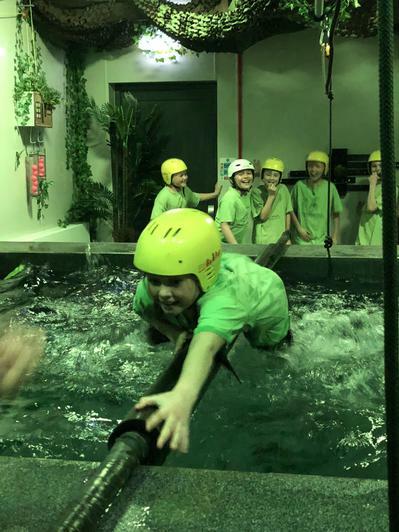 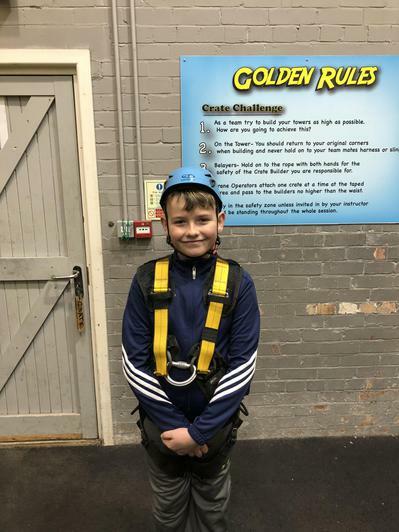 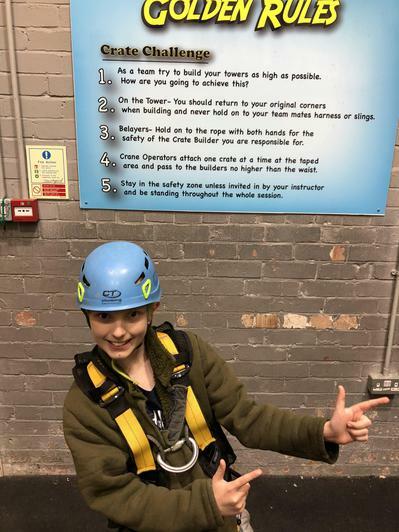 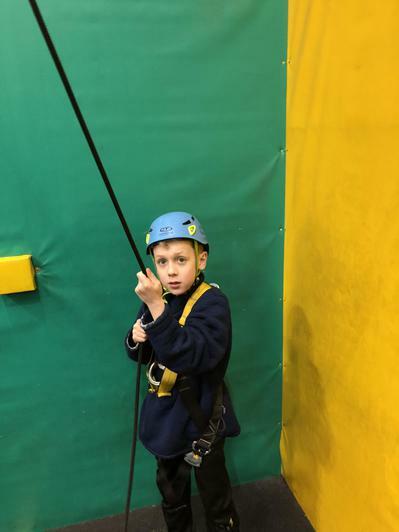 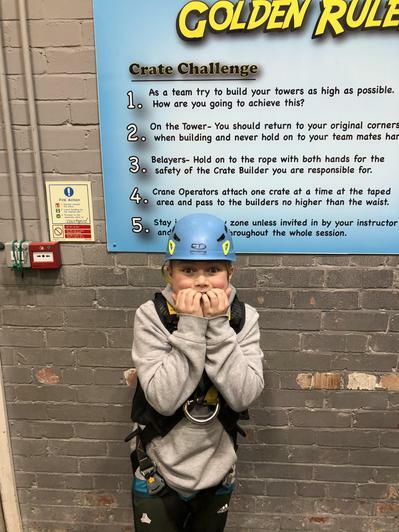 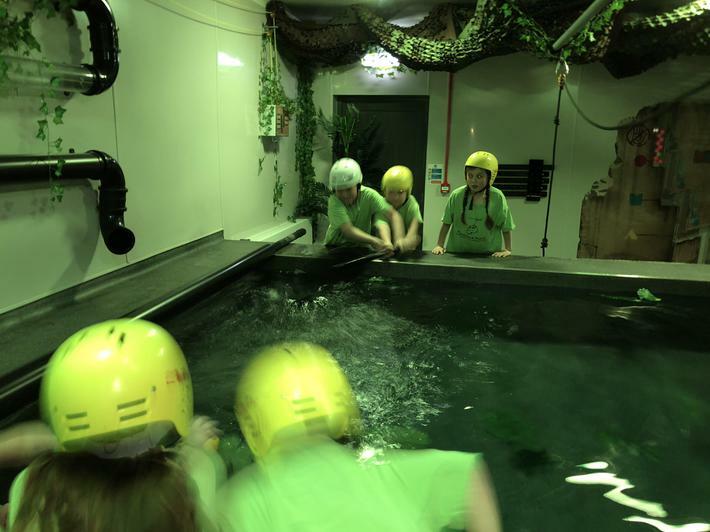 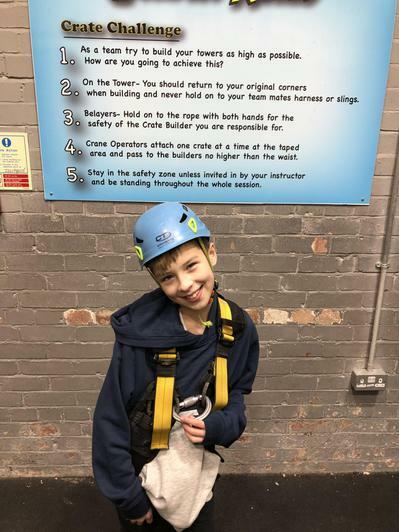 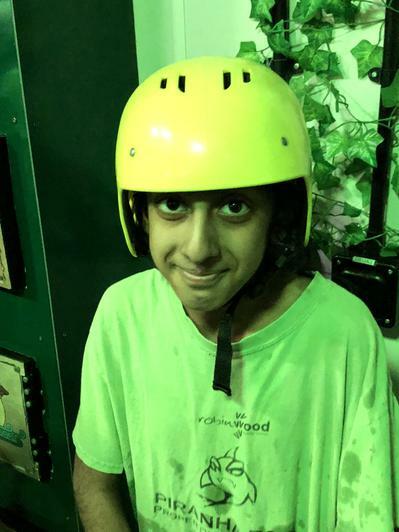 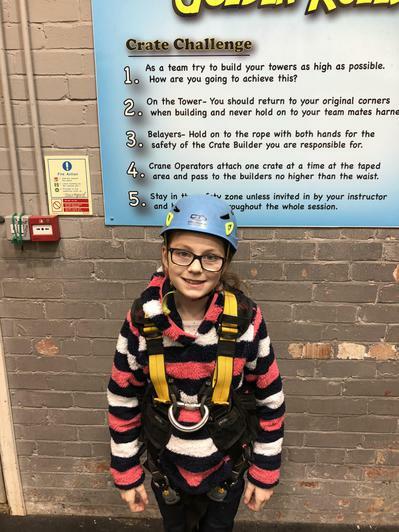 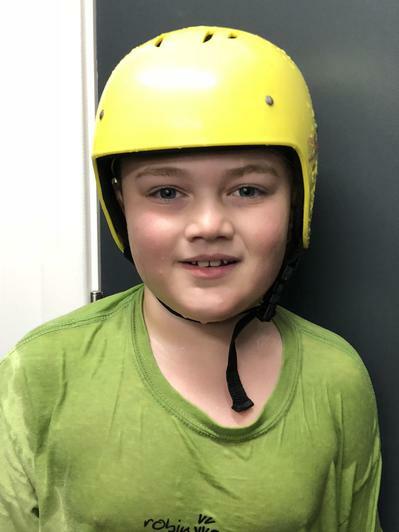 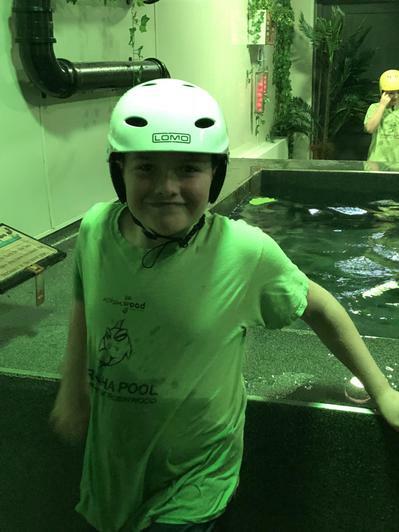 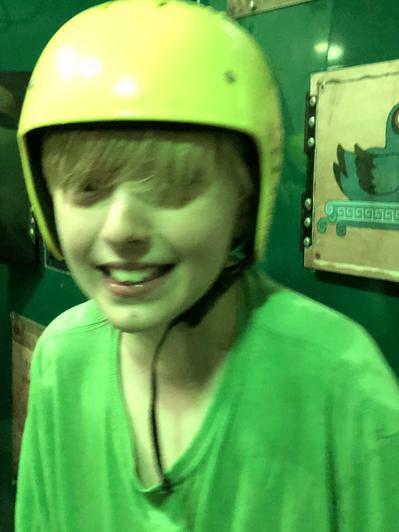 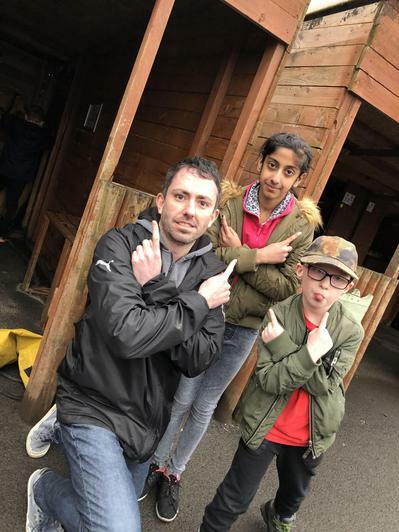 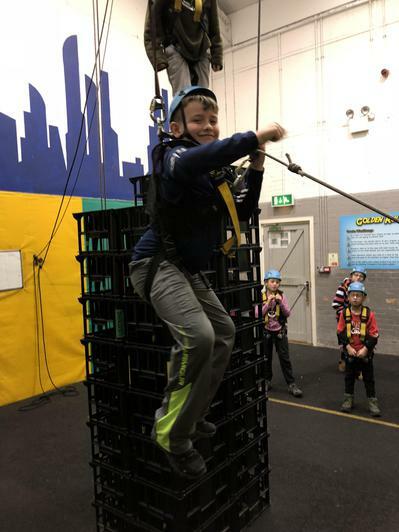 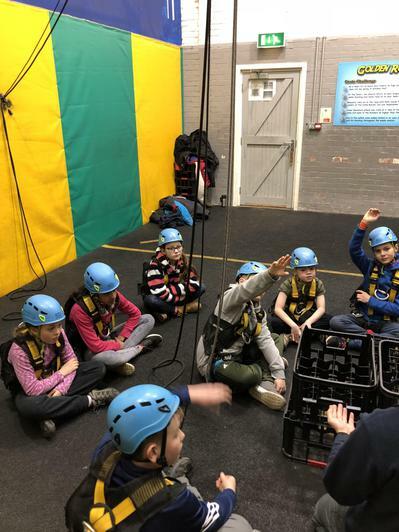 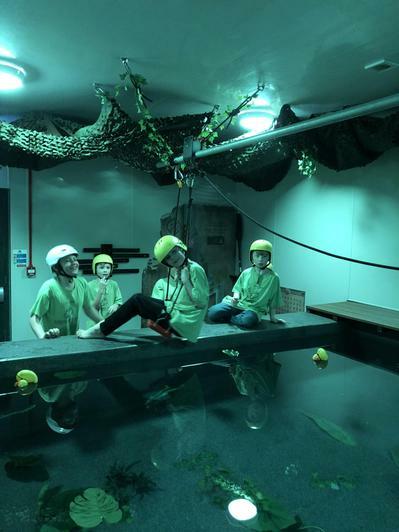 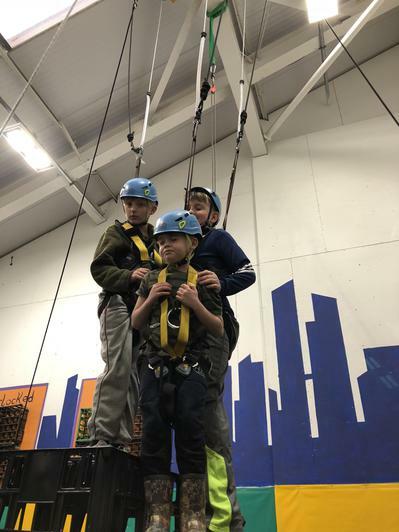 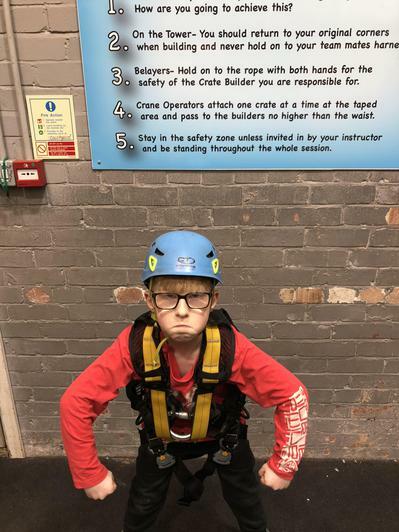 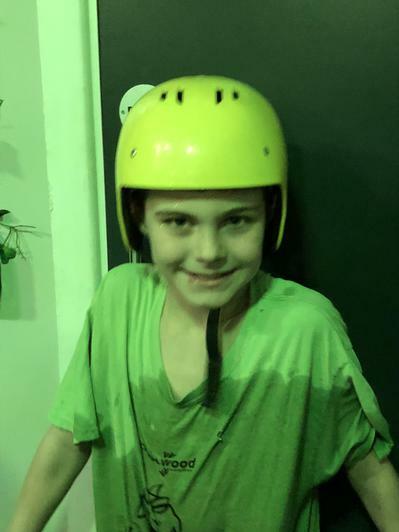 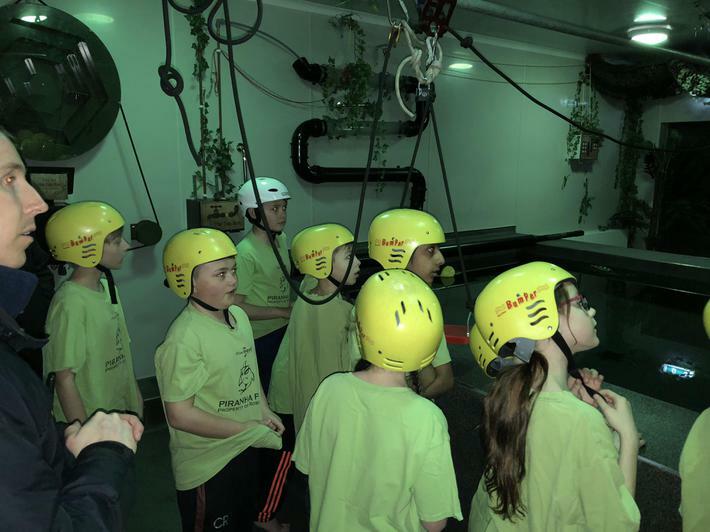 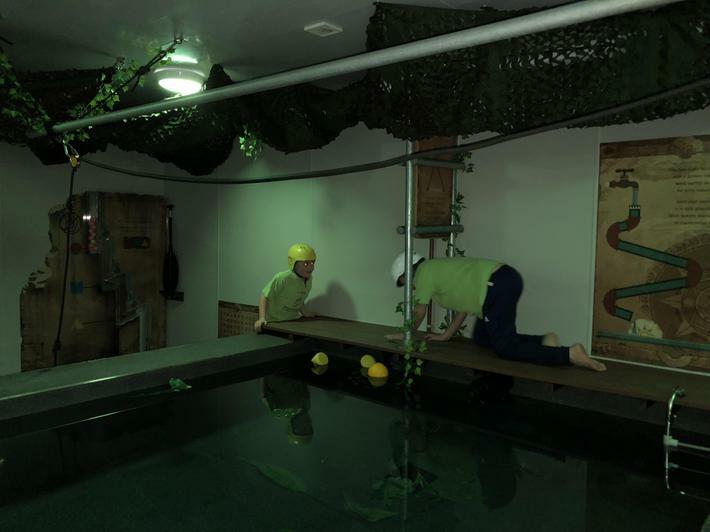 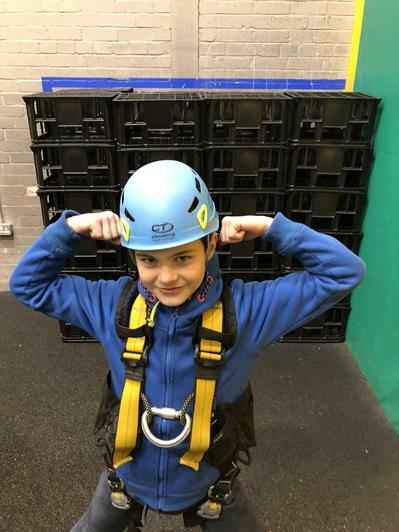 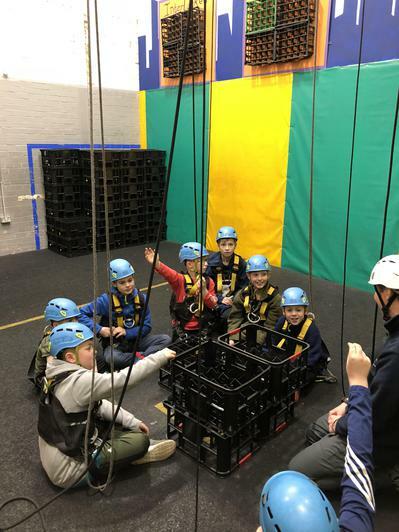 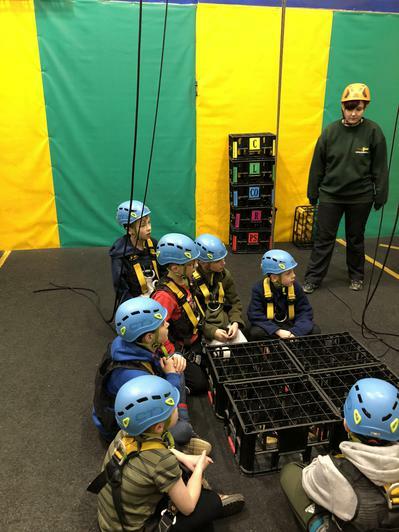 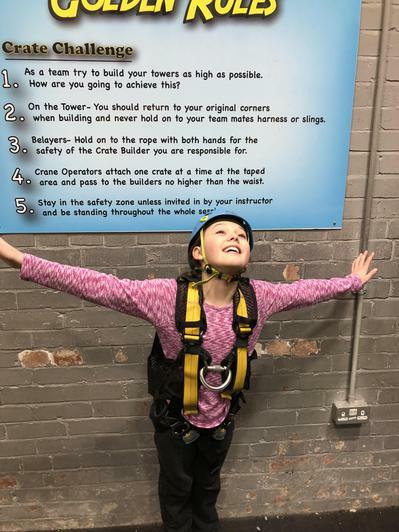 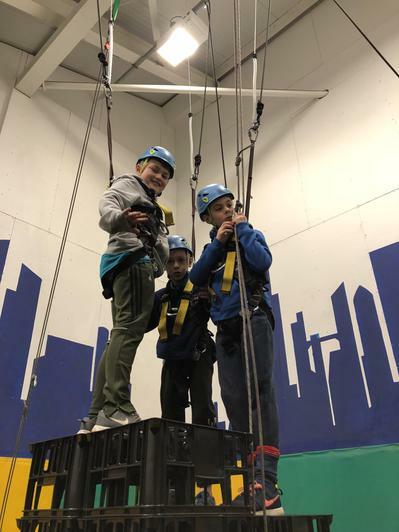 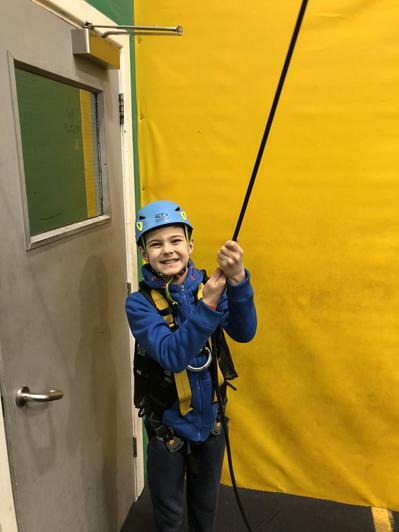 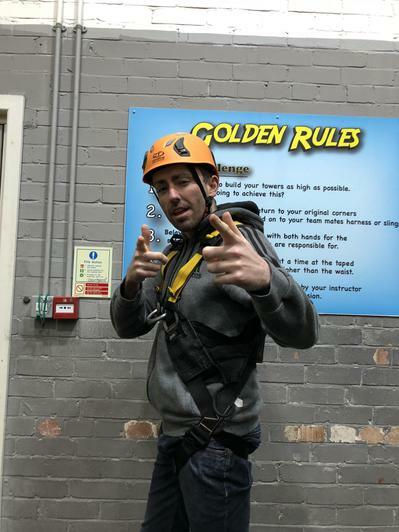 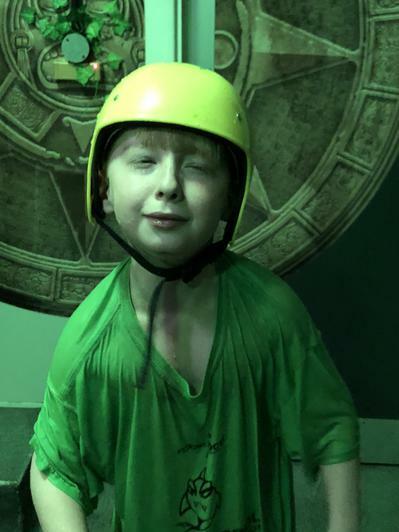 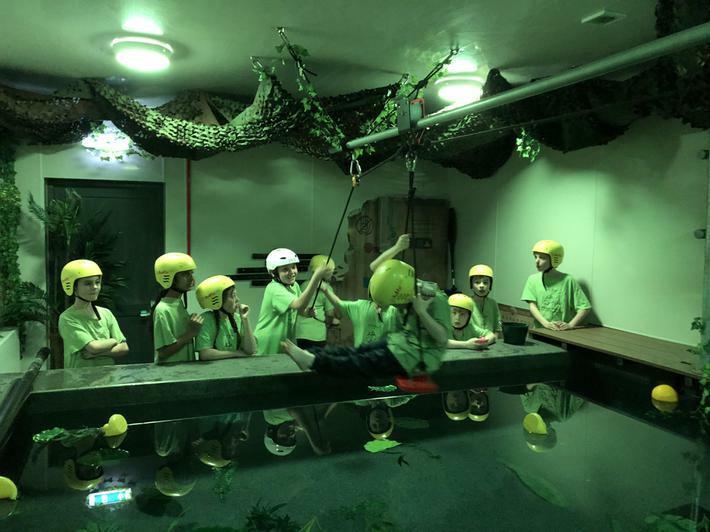 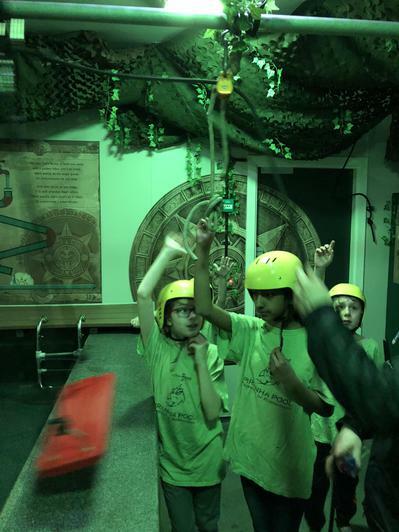 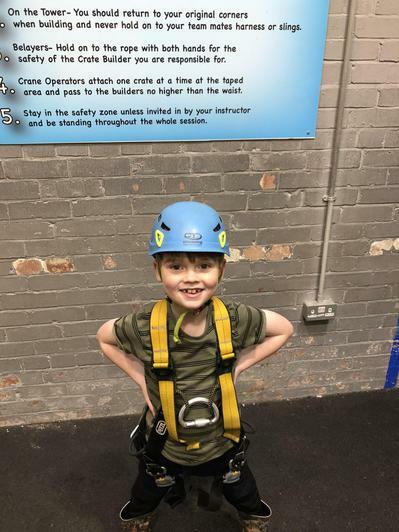 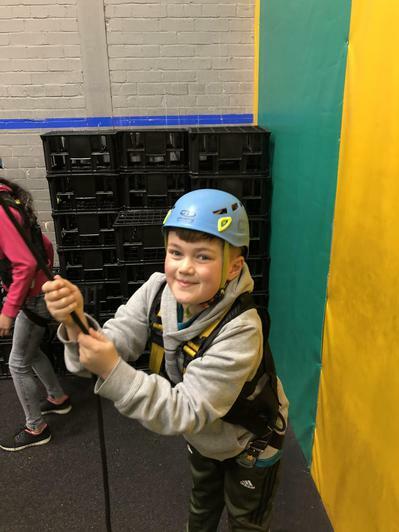 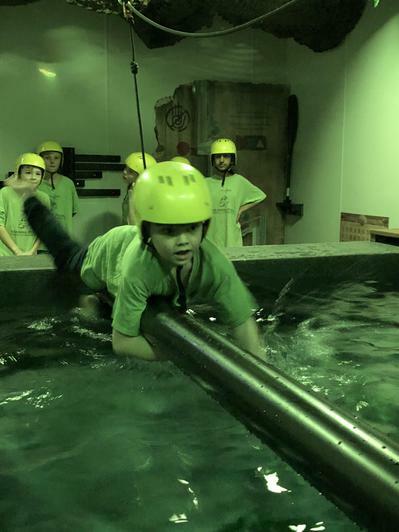 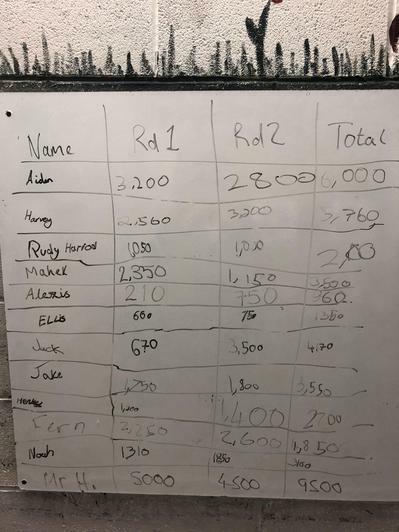 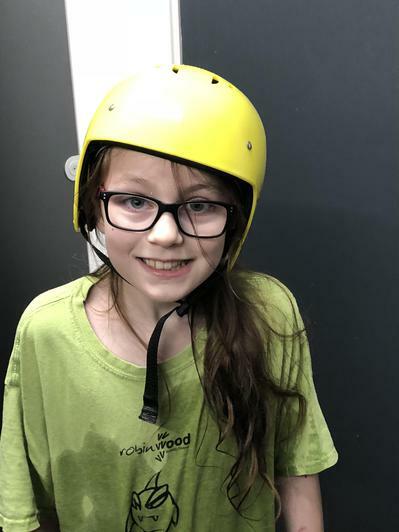 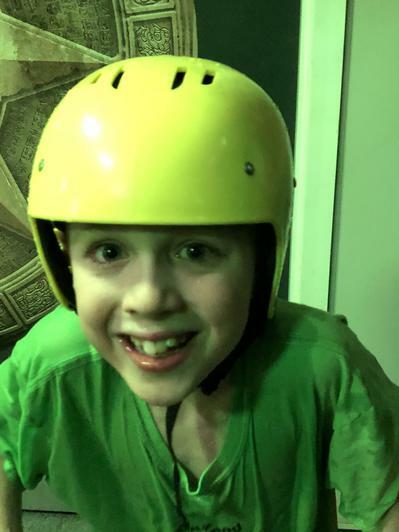 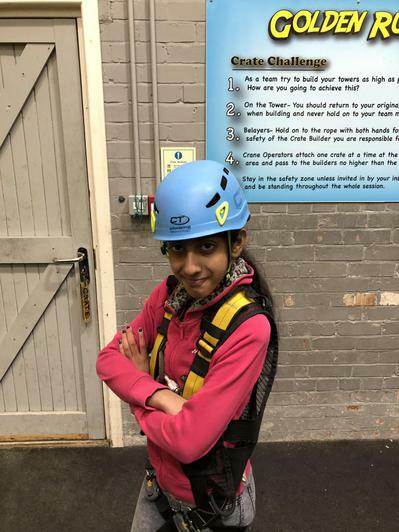 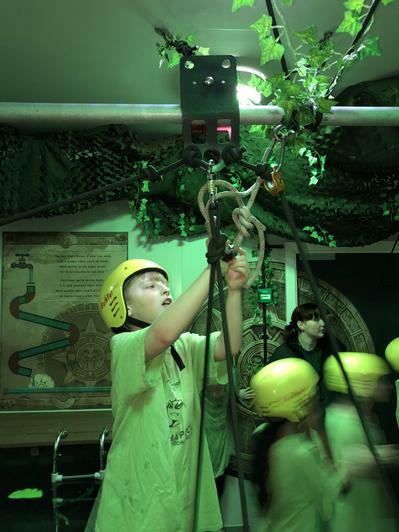 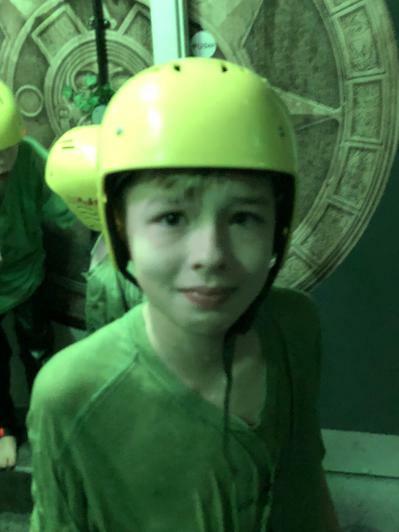 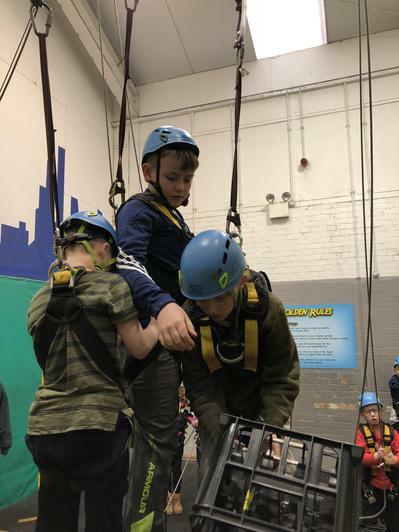 Children were awarded bonus points for how they co-operated together when taking part in the activity by the rest of the group who were supporting…we tried our best to injure the instructors by knocking the towers on top of them but they were too quick! 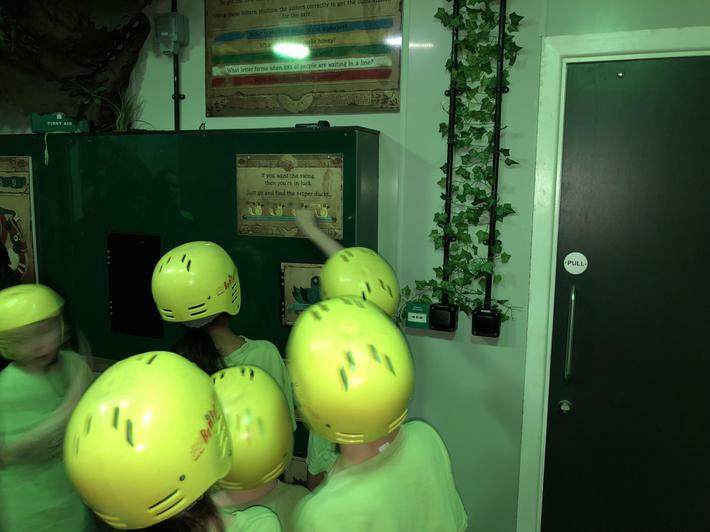 A wonderful day had by all – your children are doing you all proud!